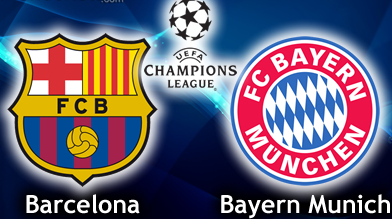 Champions League matches don’t come much bigger than Barcelona v Bayern Munich and here’s your hand-picked selection of the bookmakers’ best betting offers and value bets for this evening. These Barcelona v Bayern Munich odds are fresh from today after we’ve checked all of the offers available from each bookie. 888 Sport give their new customers treble the odds on their first bet, with the winnings paid in cash. Tonight they’ve got Barcelona at 20/1 to win 1-0 with Messi as the scorer so it is trebled to 60/1 (max bet stake is £10). You can choose any odds and this is an example of one of many possible bets that you could use the treble the winnings on. Click on the the (hard to miss) image below and it’ll take you to the sign up page. This is a new customer exclusive from Betfair which is over the the two legs of this semi-final. It goes without saying that it’s going to entice new users to Betfair and we’d favour the 6/1 Barcelona to qualify over Bayern. You’d expect these two games to be tight but Barca look like they are on a real mission and are bang in form. A risk-free bet always goes down well. Stranger things have happened in football than Bayern Munich winning an away game, even if it is at the Nou Camp. If you’re an existing or new customer to Sky Bet, the odds of 4/1 for a Munich win look like pretty good value. We like this for an outsider bet. A massive 10/1 odds for Bayern Munich to win the first l eg with Thomas Muller scoring at any time in the match. Any Coral customer can get these odds, and if you sign up as a new customer you also get their introductory offer of £20 in free bets when you bet £5. Another offer for all Coral customers, existing and new. Not a bad odds enhancement here considering this is a pretty realistic outcome to the game this evening. A general good value bet for this game looks to be Barca to win an over 2.5 goals which you can get odds of around 6/4. All in all not a bad bunch of enhanced odds for the Barcelona v Bayern Munich game tonight. It’s at 19:45, televised on Sky Sports. Good luck with your bets if you’re having one. You can also find all of these price enhancements on the BookieBoost app. This entry was posted in Bookie Offers and tagged Barcelona Betting, Barcelona Odds, Bayern Munich Betting, Bayern Munich Odds, Champions League Betting, Champions League Odds on 6th May 2015 by Betmeister.